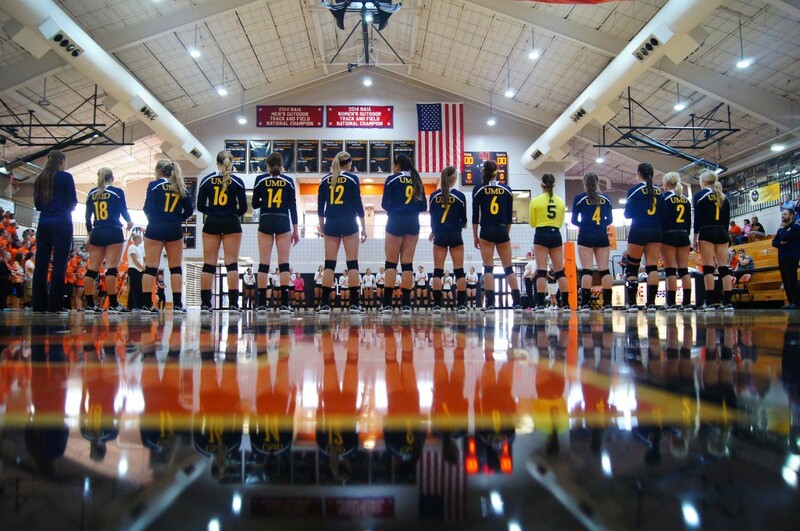 The UM-Dearborn volleyball team in a pre-game lineup before its contest with Indiana Tech. (Photo courtesy of Ferrell Mayes). It was November 8, 2014. The University of Michigan-Dearborn volleyball team was playing in a tournament at Davenport University. They would face Aquinas College to close out the 2014-15 season. The ladies went into the match with two losses and no wins, losing both matches in a straight three sets. They knew this was their last chance to show everyone what they’ve worked for all year. The countless amount of hours practicing, the conditioning, and the late nights staying up to study and do homework were almost over. They knew they had to put everything they had out onto the court. They gave their heart and soul but it just wasn’t enough. The team would end the 2014-15 season with a heartbreaking 0-32 record. It’s a new season now. A different story. A different team. A higher level of momentum. The team has already had a total of four wins this year. They knew they had to make changes to improve altogether. In the off-season, the team added six new fresh faces. A junior college transfer from Macomb Community and five freshmen. A faster offense has seemed to make quite a difference for the team. When something isn’t working, you have to change it and they did. 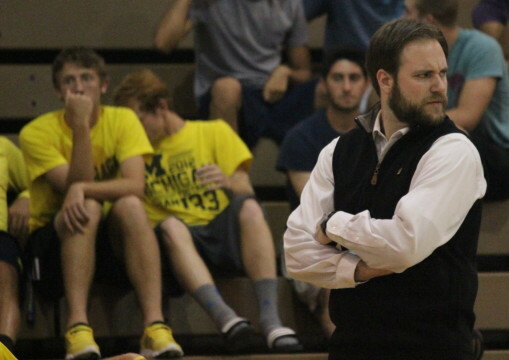 The Wolverines are in the WHAC division and face several competitive teams throughout the season. They have played five division games winning one against Marygrove College. The team has made each match close though, giving their opponents a run for their money. The ladies continue to learn and grow as a team more and more each day: at practice, in their games, and in the classroom. Being a student athlete is tough but these ladies define exactly what it’s like. They go out onto the court and leave their hearts out there. They defy the odds and don’t let anything negative get to them. They’re a true example of what it’s like to be apart of a team, the good and the bad. The Wolverines still have a total of 18 games to go this year. They have a huge fan base who knows that they’ll work their hardest this season to make the name on the front of their jersey something even more to be proud of.